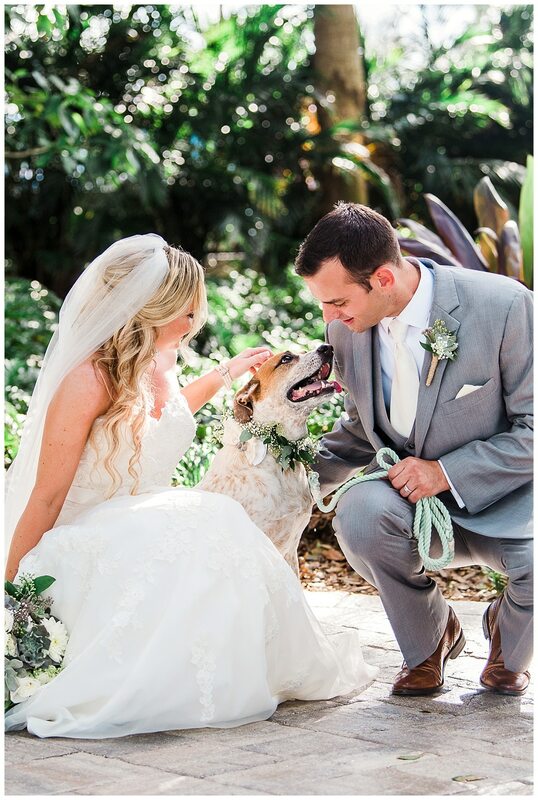 Nope, we’re not makin’ this story up! 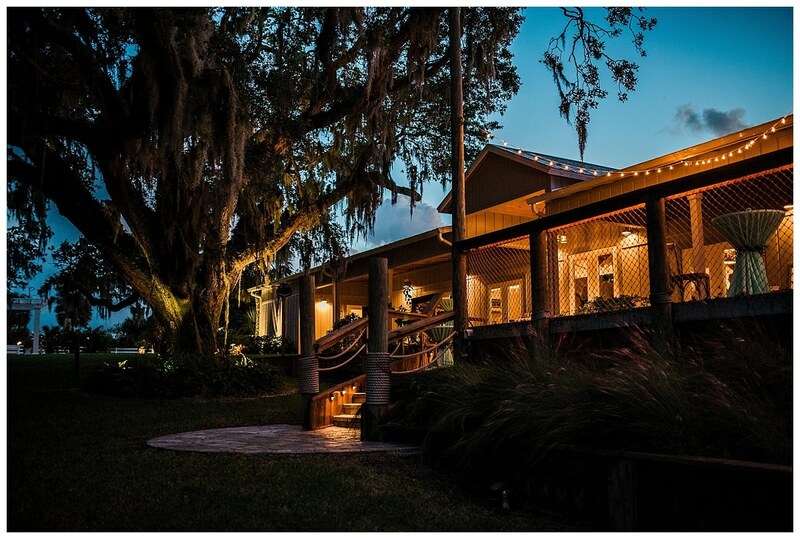 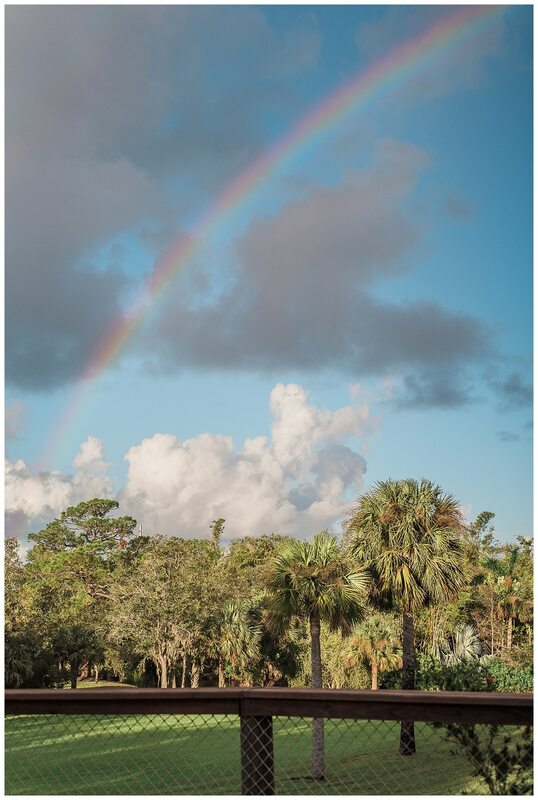 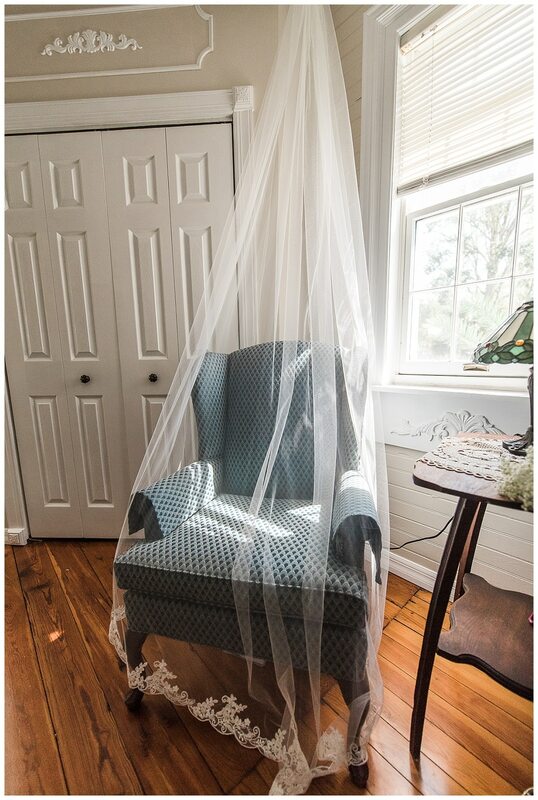 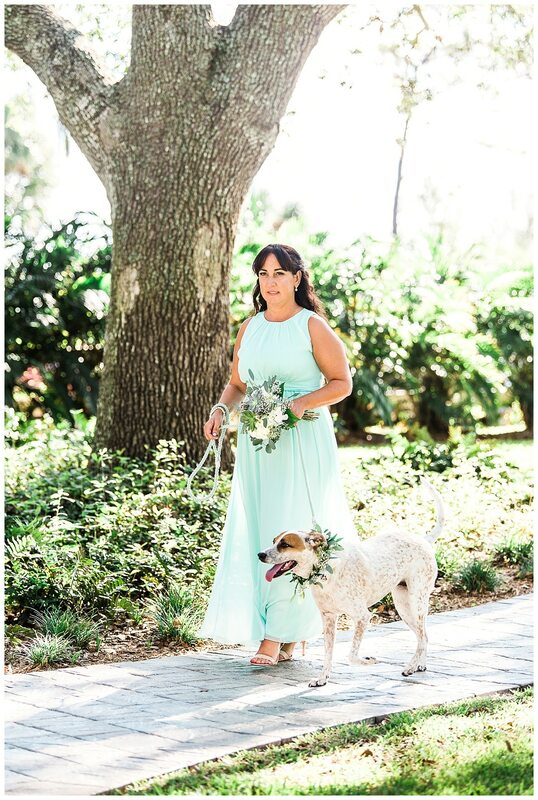 Fairy tale weddings happen right here at Up the Creek Farms and include the magic of rainbows, the love of our four-legged friends, and the glow of all things sparkly. 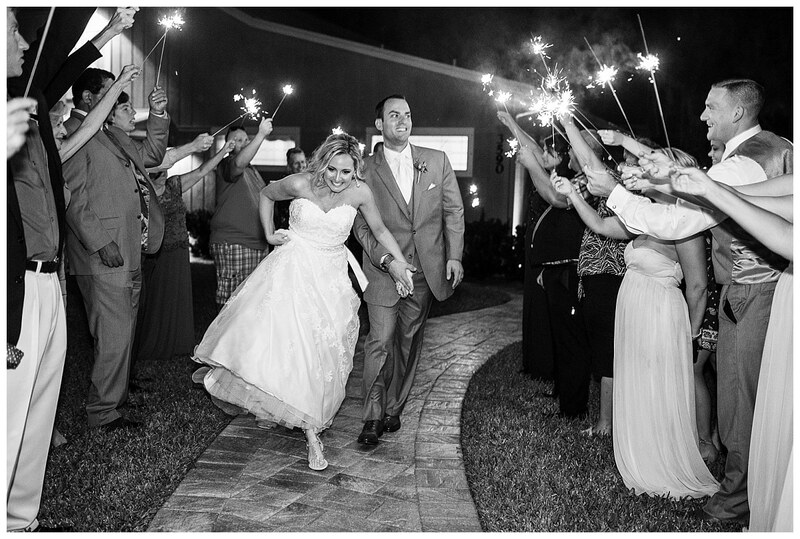 Haley and Dan’s wedding was full of love and magic, it was an unforgettable day. 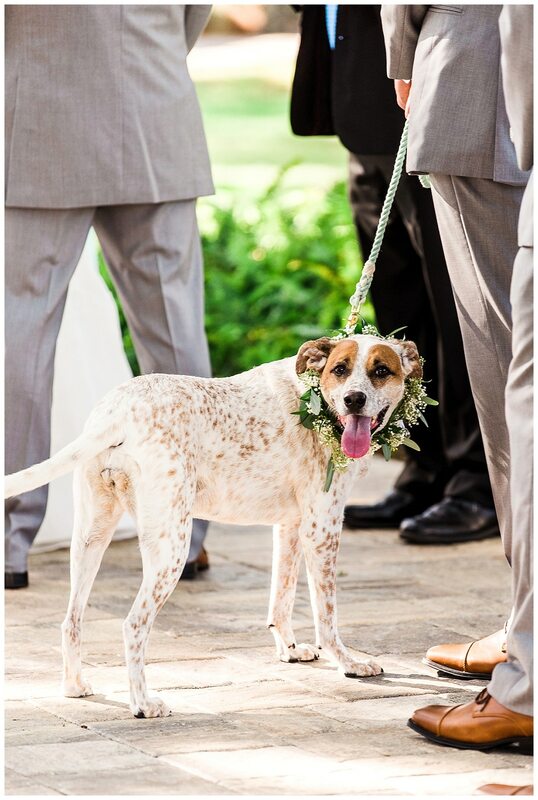 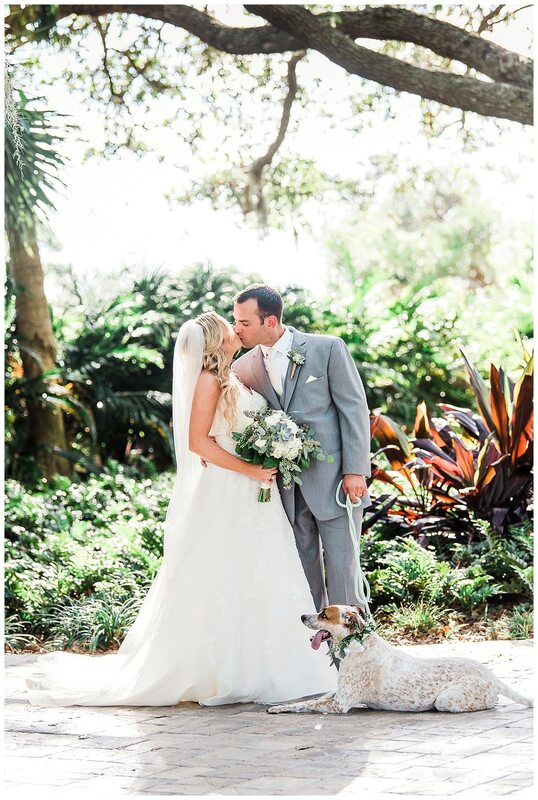 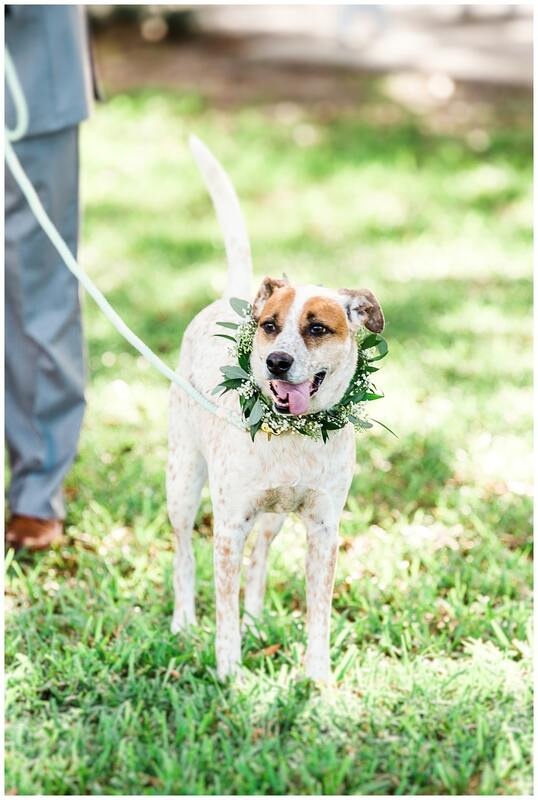 You will enjoy the following photos by Liz Cowie Photography, which include Reagan the dog and her big debut as a Ring Bearer! 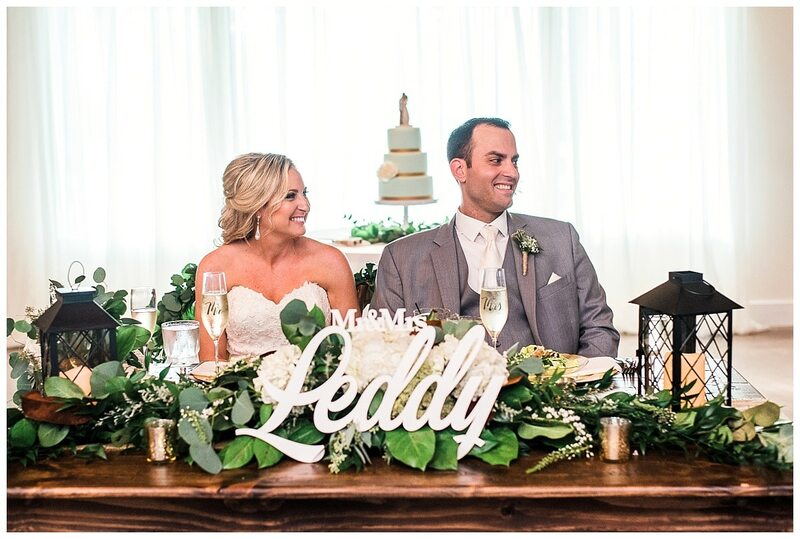 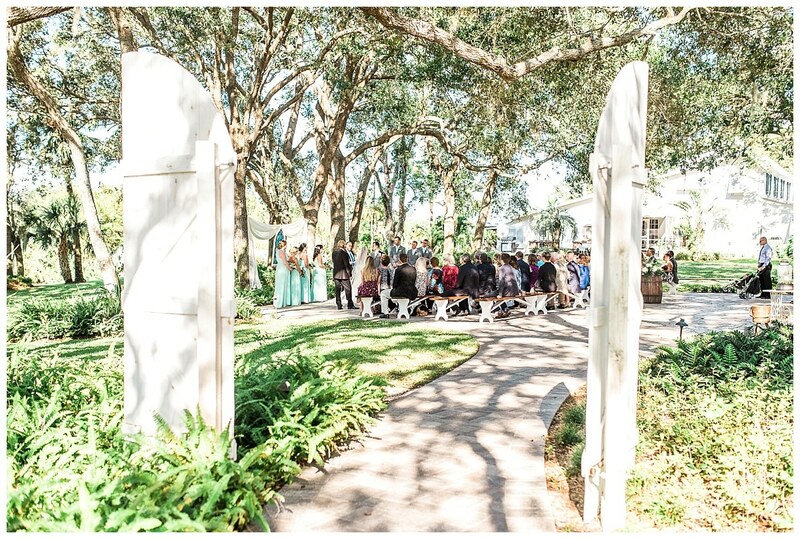 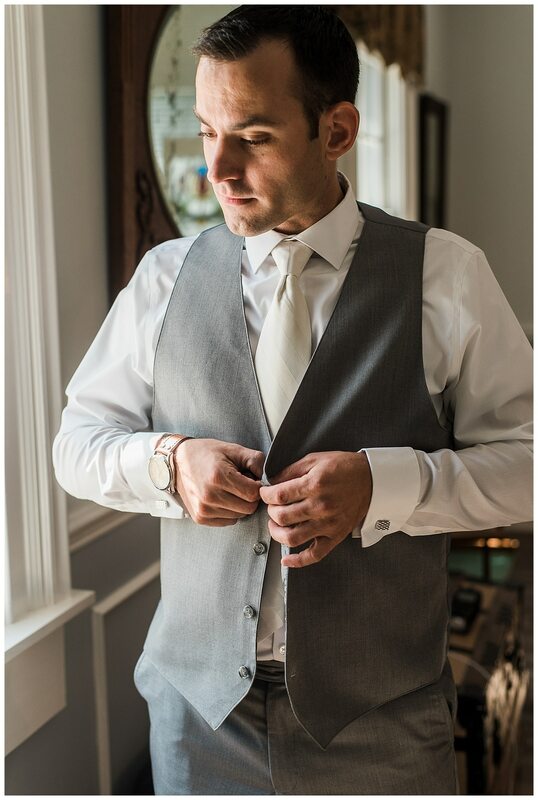 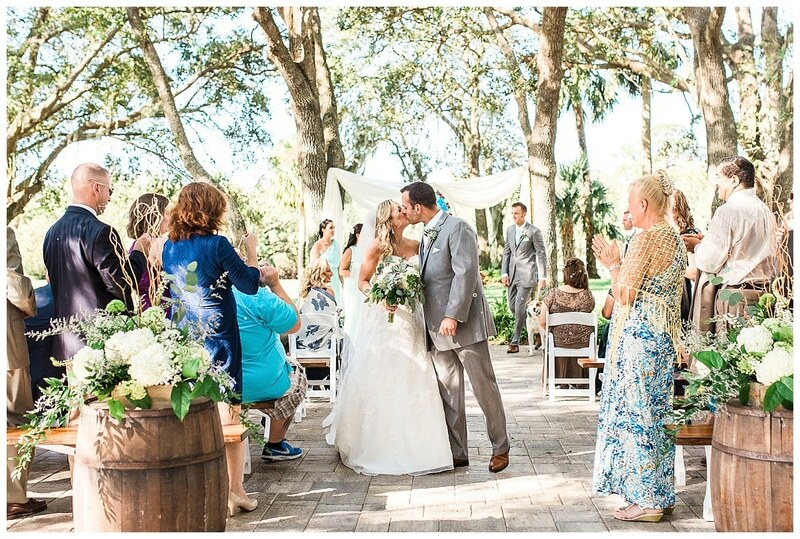 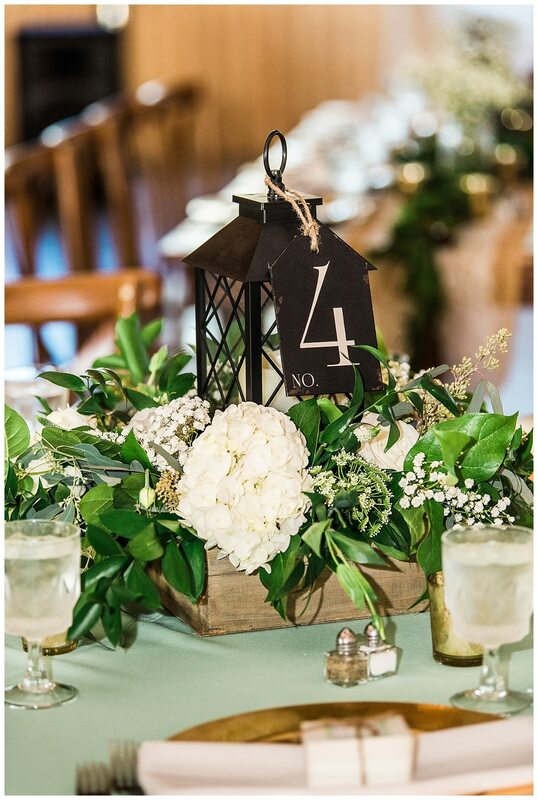 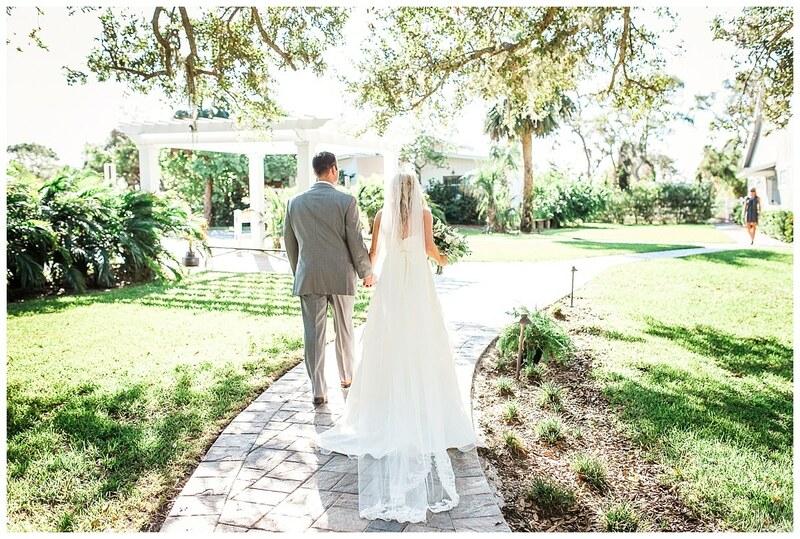 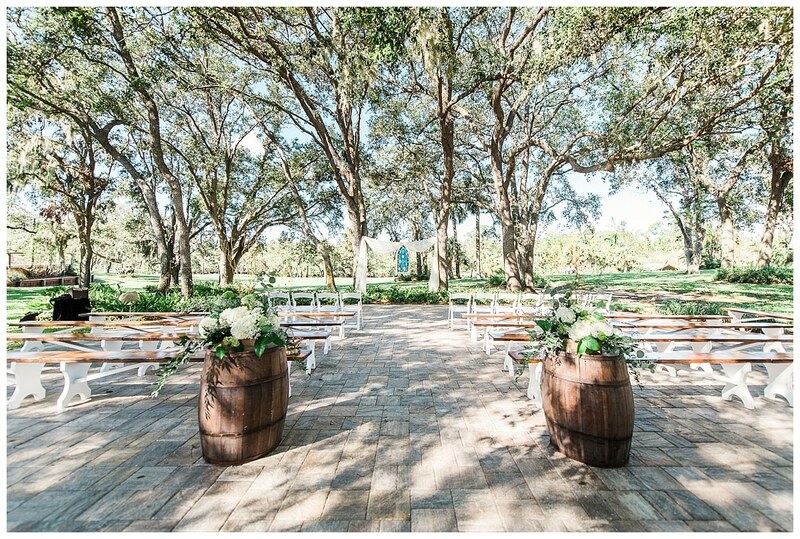 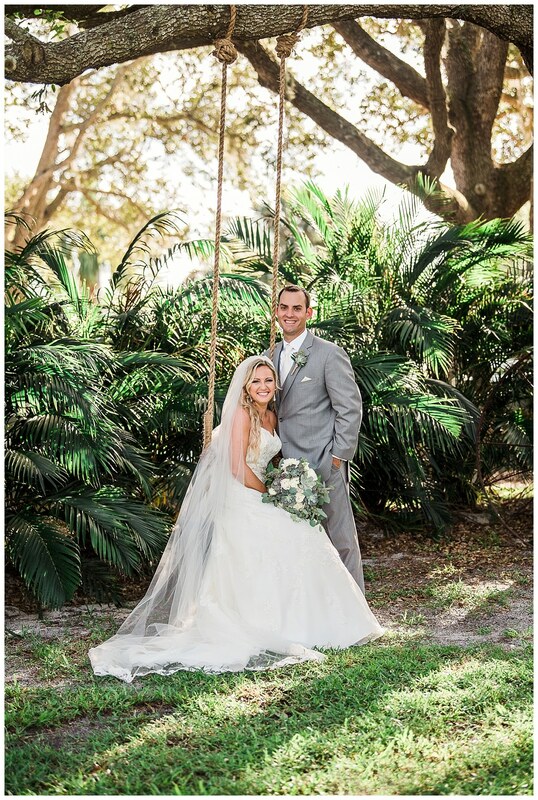 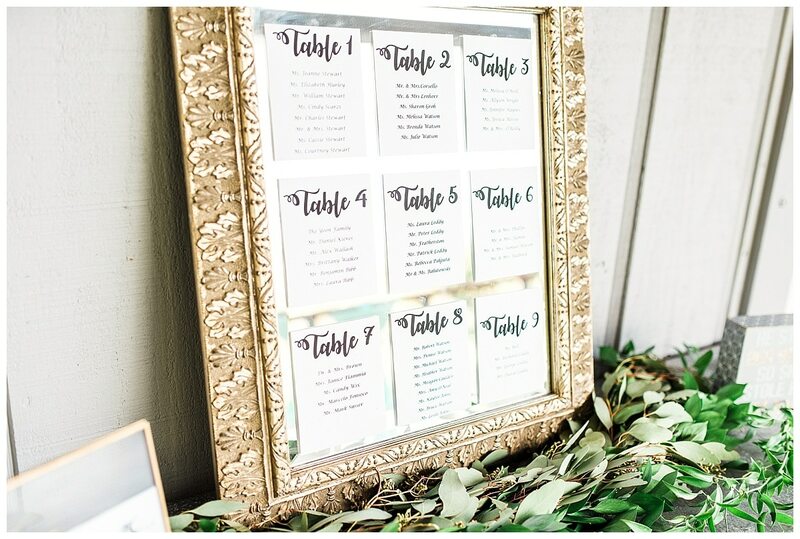 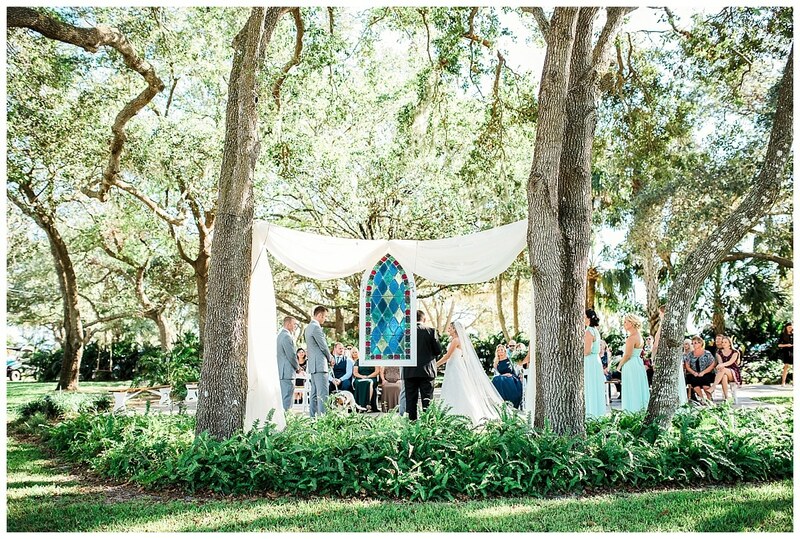 We love the elegance of this celebration, punctuated by sunshine and smiles. 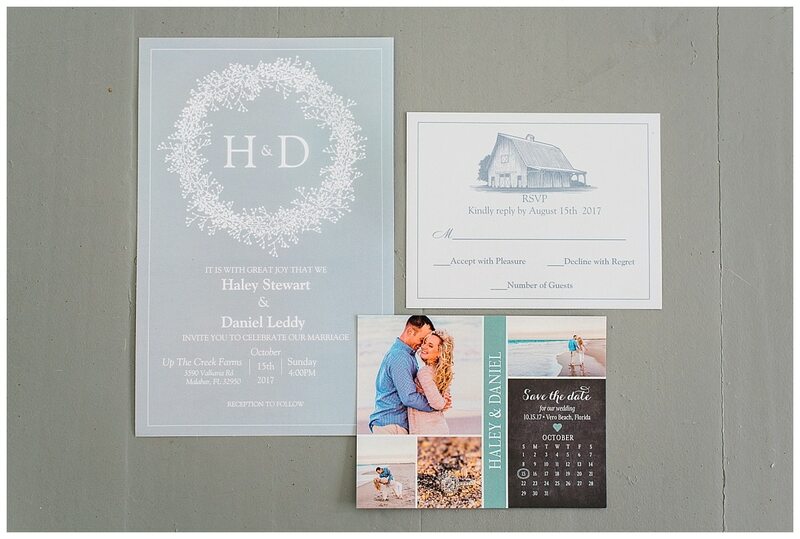 Our wish for Haley and Dan is that every day of their marriage is just like out of a Fairy Tale! 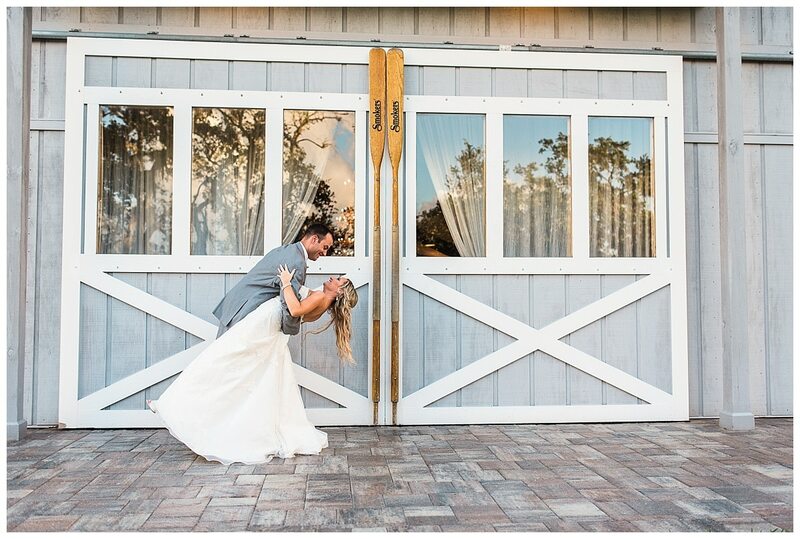 How to transport a bride from the Decklan House to the Boathouse without anyone seeing her before she walks down the aisle? 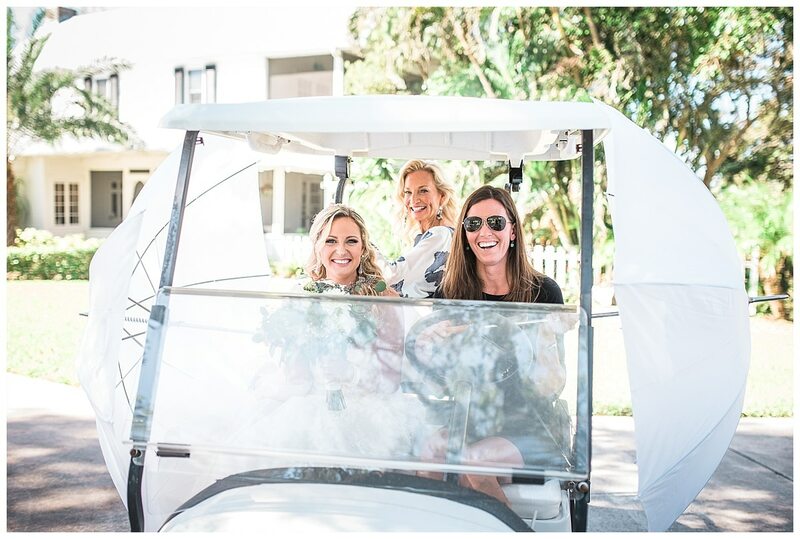 With our handy golf cart and many umbrellas, of course! 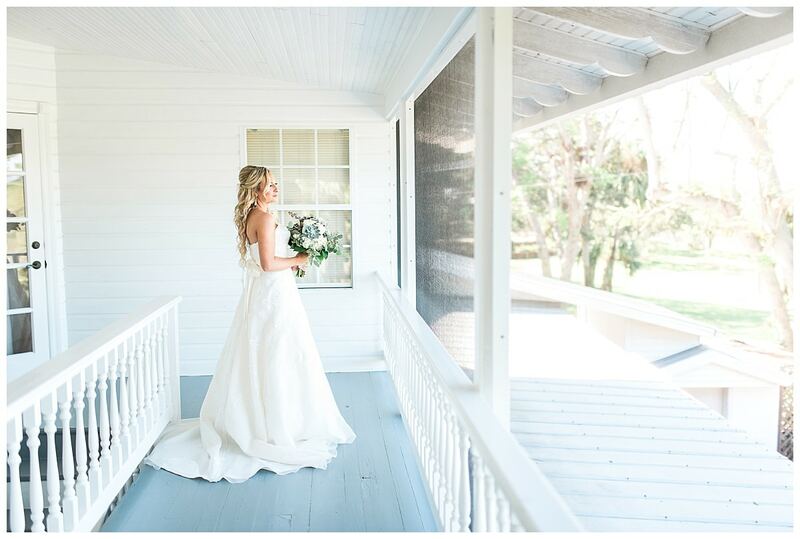 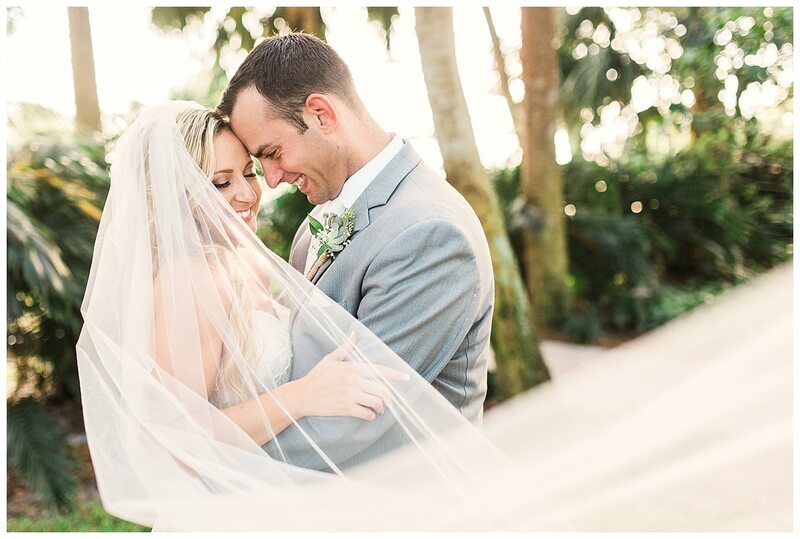 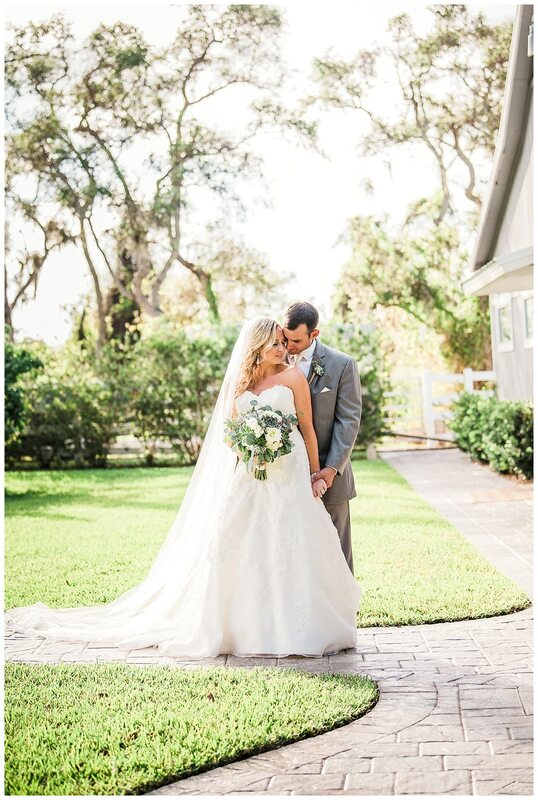 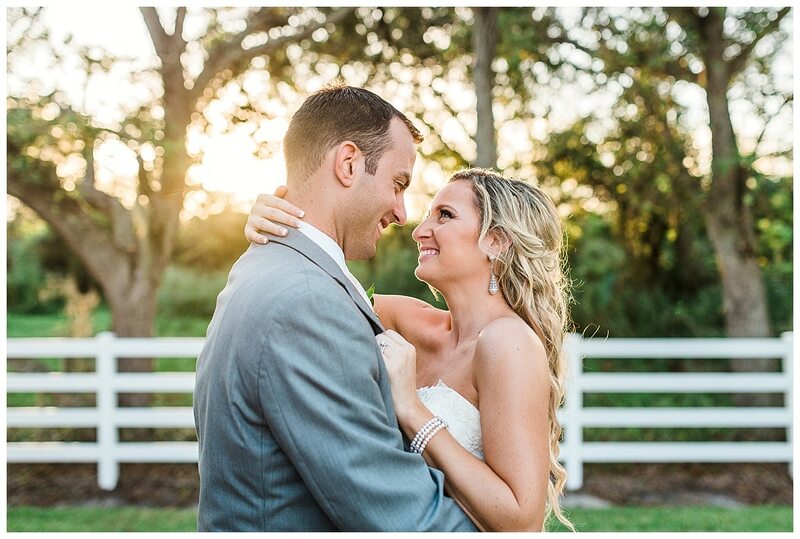 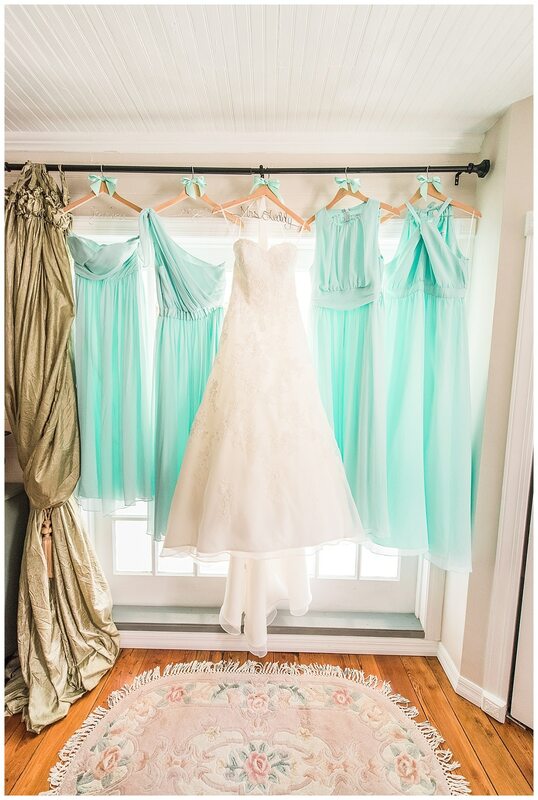 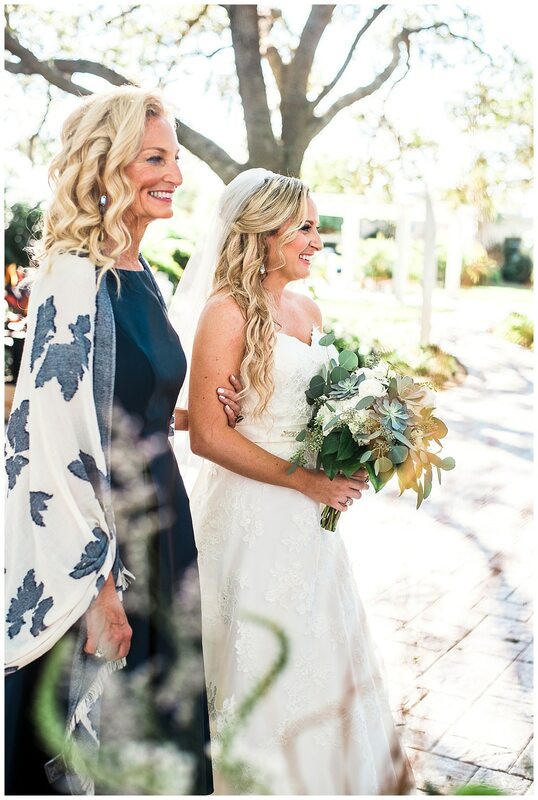 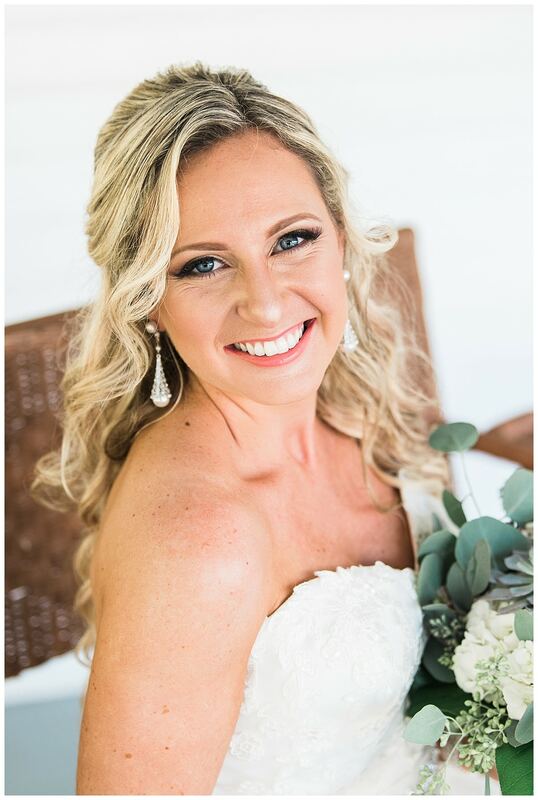 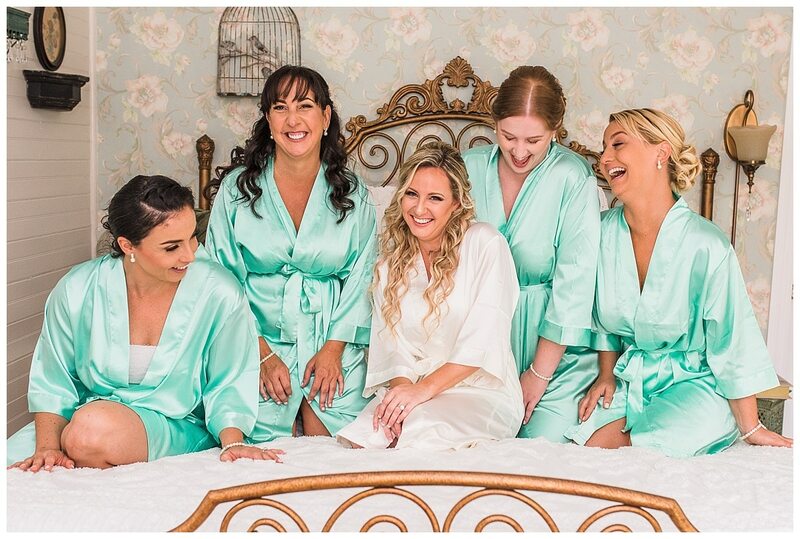 We love sharing these special moments with our beautiful brides! 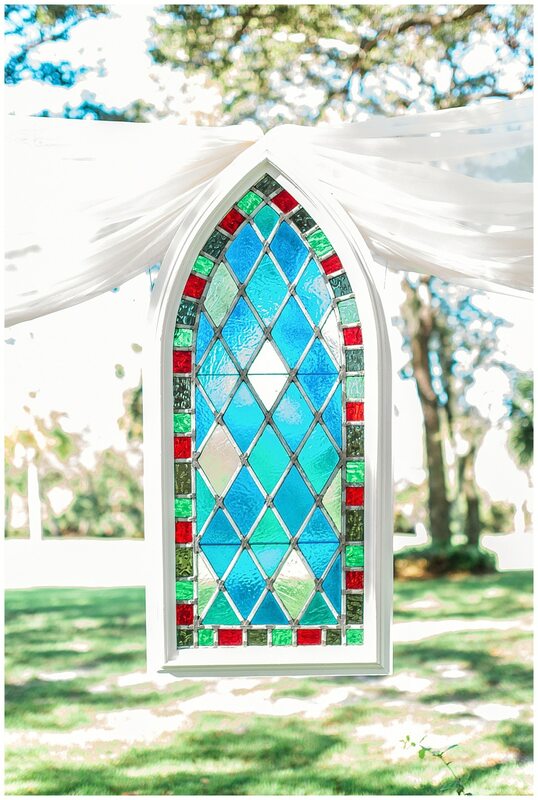 Thank you for the following vendors for making this day just like a Fairy Tale! 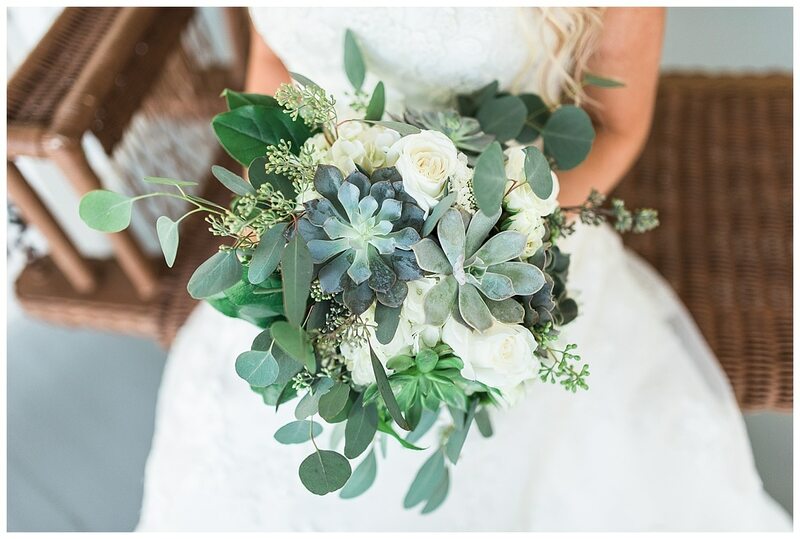 Liz Cowie Photography || Buds Etc. 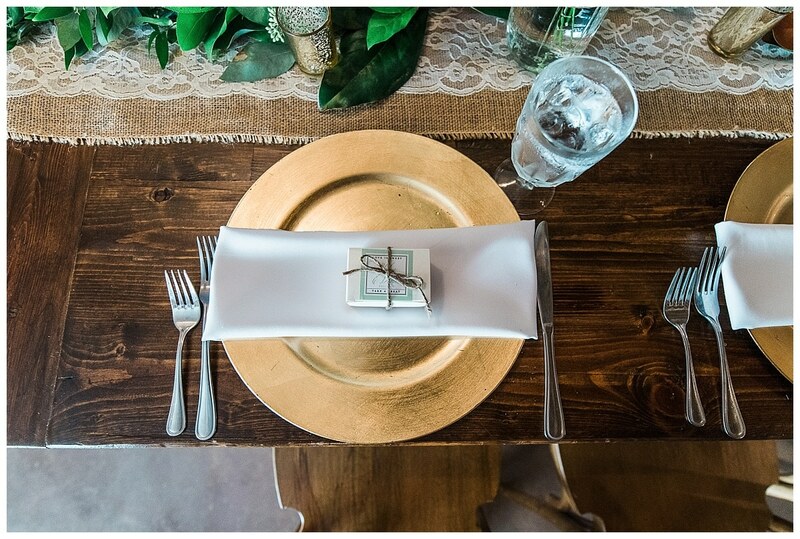 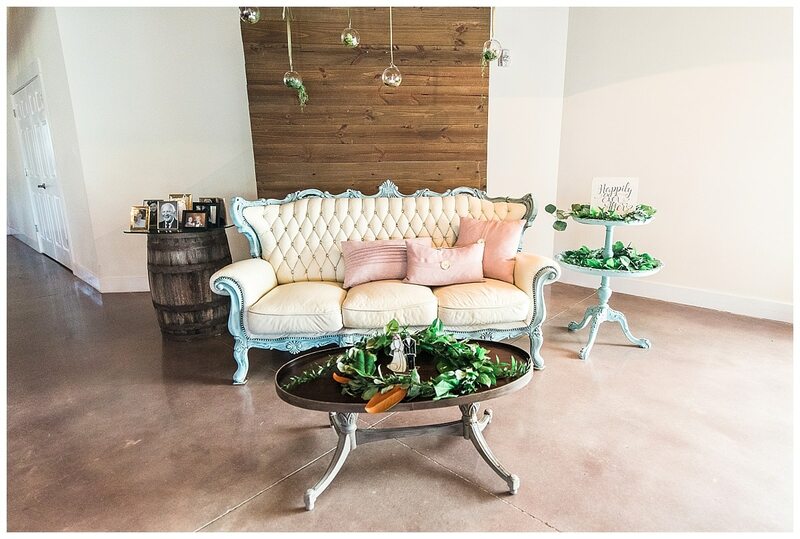 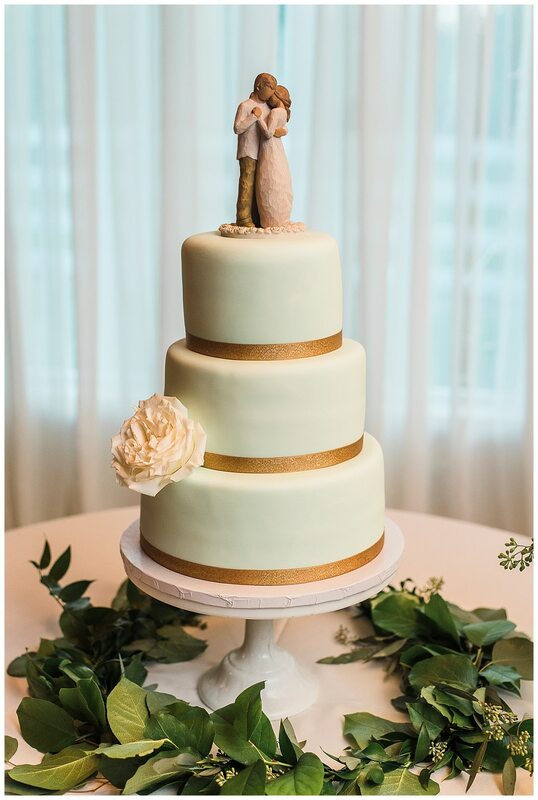 Floral Studio || Creative Cakes || Executive Catering || SOUL Music Entertainment || Tenacious Glam Hair & Makeup – Jennifer || Crystal and Crates Vintage Rentals || Michael’s Liquor’s || Captain Hirams Resort || Yellow Dog Cafe Rehearsal Dinner || American Viking Bus Co.